Susan is the Financial Director for the Board of Allen County Commissioners. Her responsibilities are to coordinate, analyze and report the financial performance of the General Fund and Capital Fund to the Commissioners. Susan is also the Assistant Clerk of the Board and an Administrator for the Revolving Loan Fund. Additional responsibilities for Susan include accounts payable and receivable as well as other various financial functions. 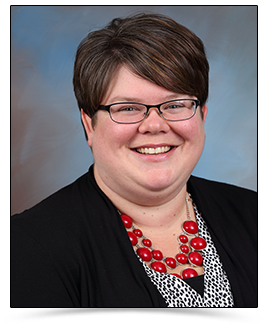 She is a life-long resident of Allen County, a 1998 graduate of Allen East, and a 2015 graduate of Rhodes State College. She is married to her high school sweetheart and has three sons.